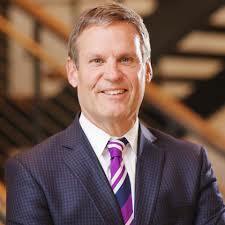 Tennessee's Governor Bill Lee has set a brick on the gas pedal of the school privatization bus, and that bus is driving right through the powers of democratically elected school boards. Lee's very first budget proposal was unveiled at the beginning of the month, supported by Lee's deep, insightful observation "Choice is good." The budget has big money for vouchers; Lee is going with the education savings account approach, handing each family $7,300 and saying, "Go spend this on something educationny." Taxpayers will also foot more of the bills for charter facilities. How cool is that? If you were going into business, wouldn't you like the taxpayers of your state to buy a building for you? A big kicker is Lee's bill for charter school authorization. Previously, Tennessee made local school districts the authorizers of charter schools. This seems like a sensible approach-- let the decision for a charter rest with the elected representatives of the taxpayers who will foot the charter bills. The original version of the bill would have allowed charter operators to simply bypass local school boards for authorization. But a new scaled-back version of the bill allows charters... to bypass local school boards. Well, now there would be an extra step, a state-level appeals board. The Tennessee Public Charter Commission would have the power to override a local school board's denial of a charter application. The nine members of the board would be appointed by the governor and approved by the legislature-- so there would be another layer of bureaucracy before the governor's handpicked board okays the bypassing of the local elected board. This system is the very picture of taxation without representation. Tax dollars will go to the charters, and local elected boards will have no say. Rep. Antonio Parkinson, D-Memphis, said what he likes about the charter school bill is that it would allow other districts to see what Memphis has seen for several years now — the state taking away power from local school boards. "You all get to feel that and see what we have been screaming about for the past several years," he said. So "choice is good" apparently doesn't man that local taxpayers should get any choice. Is anybody else old enough to remember when the GOP was the party of local control? The bill has just cleared the House and Senate education committees and still has to come to legislative vote. If you are in Tennessee, you might want to make some phone calls.